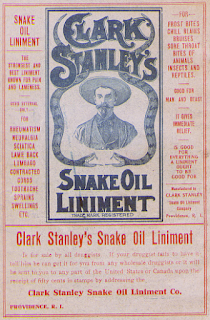 Earlier this week, the American Medical Association CEO called digital healthcare products modern-day "snake oil"
As a provider and a technologist, I think we need a deeper dive to understand the issues, avoiding the kind of hyperbole that’s so common in politics today. Paul B. Batalden, MD, Senior Fellow, Institute for Healthcare Improvement (IHI), once said “Every system is perfectly designed to get the results it gets”. Let’s take a brief look at the history of national healthcare IT efforts from 2004-2016 to understand how we’ve achieved exactly the results we designed. In 2004, National Coordinator David Brailer wrote “The Decade of Health Information Technology: Delivering Consumer-centric and Information-rich Health Care” suggesting that we move from a paper-based industry to electronic transactions, we share data, we do population analytics, and we engage patients/families. All 5 of the national coordinators - Brailer, Kolodner, Blumenthal, Mostashari and DeSalvo have followed these 4 basic ideas. As a country, we invested $35 billion to move existing transactions from paper to electronic form and 85% of our clinicians/hospitals achieved that. We also required patient access to educational materials, which have appeared in the form of a multiude of stand alone apps. We did not suggest a fundamental redesign of healthcare workflow, we suggested a digitization of existing paper processes. We accomplished exactly what we set out to do. Did we share data? Some would argue that we have not achieved interoperability. However, what is your definition of interoperability and the criteria for success? The work of the past decade has focused on e-Prescribing, public health reporting, and laboratory resulting. All of those have been achieved with very high adoption rates. We did not focus on pulling data from disparate sources so that information is available at the point of care just in time. We accomplished exactly what we set out to do. Did we enable population health? EHRs and related tools can support basic queries about the patients in a provider’s panel. We did not focus on creating care management workflow based on guidelines, protocols, and pathways. We accomplished exactly what we set out to do. Did we engage the consumer? Most patients have access to a portal of their results. We did not focus on the kind of workflow supported in Apple CareKit - care planning, patient generated healthcare data, dashboards, and mobile communication tools. Again, we accomplished exactly what we set out to do. As I’ve said in several posts, more Meaningful Use is not the answer. Relying on the ONC 2015 Certification Rule is not the answer. 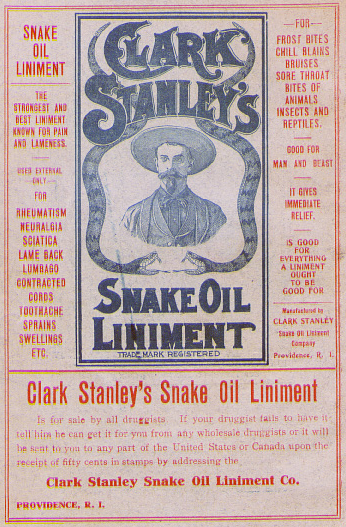 Rather than suggest that vendors are selling the electronic equivalent of snake oil, the AMA should recognize that the regulatory efforts of the past several years have achieved exactly the result that was intended and that stakeholder organizations such as the AMA should suggest a small number of desirable outcomes as our next goals. Government should provide incentives to achieve those outcomes via MACRA/MIPS and the private sector, working with stakeholders (patients, payers, and providers) should innovate to deliver the needed technology. Meaningful Use has achieved its goals and we need to accept that the journey we’re on is incomplete, not off course. We all need to unify on defining the future we want and aligning government, providers, and industry to establish a trajectory to get us there. There’s no snake oil on the road ahead. Certainly the closing statement here kind of says it all about not knowing where you are going and there's a certain amount of that out there but as you mention, there are choices. Last I read EHRs are now going to be on a one to three star system..I'm sorry that's nuts! An EMR is not bought by a star system, you buy what meets your needs. There's too much "Excess Scoring" taking place today when we cross the line of efficiency and knowledge to create algorithms that just rank and score (for profit) and that's dangerous.It ends up leading to a sometimes very scary culling effect where folks are hurt without a chance to even rebuttle back if the data is flawed. Spot on Dr. Halamka. Thank you for these words.